Valencia and Zaha as backups. Welbeck too. Oh yes please….Young can F**K OFF!!! The only key decision is the lowest price he’d let him leave for. Not much of a decision to make, apart from which championship club to sell him to. You are clearly an Ashley Young fan boy. you are entitled to your opinions but after reading this piece I wonder if its Young or united you have at heart. Looks like its more of the former to me. I just don’t understand why you would want to see such an inept player in our line up. He and Valencia would not be starting at the likes of barca bayern madrid dortmund chelsea and even spurs. What then makes you think that Young should be playing here at united the biggest club in the world. A winger who passes backwards and sideways more than forwards. Even Evra and Rafael offer more penetration. Have the balls to call a spade what it is. He’s not united quality. Ashley Young needs to move on. He is taking up space. We have Zaha and Januzaj now who need game time. Young needs to go end his languishing career somewhere else. You’re trusting in David Moyes to do all that? You must be an optimist. I’d keep welbeck as he’s local and can improve.The others should be shipped off without a seconds hesitation……they couldnt get into any other top 5 club in England never mind the bayerns,barcas,juves and madrids……u can add valencia and cleverly to that list while ur at it…. If AshleyBloodyYoung left on a free transfer – with UTD paying him for the remainder of his contract – accountants can turn a loss into a profit and I’d imagine that the Glazers have damned-good accountants. WHY ON EARTH ARE JANUJAZ ANS ZAHA NOT STARTING? THE REST OF THE LOT AREN’T WORTH A DAMN BASED ON THEIR PERFOMANCES THIS SEASON. C’MON, MAN – WE HAVE ALREADY PROVED YOU can WIN WITH BABES! David Moyes is the one who is standing in the way of that kind of progress. But maybe he has learnt something from the likes of AVB and his time at Chelsea that you can’t just walk in and start axing players left right and centre and expect the old guard to get behind you. . . Your assessment of Young is quite amazing. To start with United paid £14m and not £17m bcos he had only one yr left on his contract when we bought him. Attacking wise he has been the most ineffective of our wingers. I wonder ur source of statistic, but Young is the only winger in the league that plays with his back to the opposing side RB and makes more back passes to his LB than any other player. I was one of those clamouring for Young when he was at Villa, but i now realise he does not possess the mental ability and the confidence to play at a big club. So the decision is simple, let him go. Young should never have been bought in the first place. He was never good enough, even at Villa. It was just glazernomics given that he had one year left on his contract, and we could get him ‘cheap’. I’m so tired of United keeping players around when they are clearly not good enough or haven’t been pulling their weight. 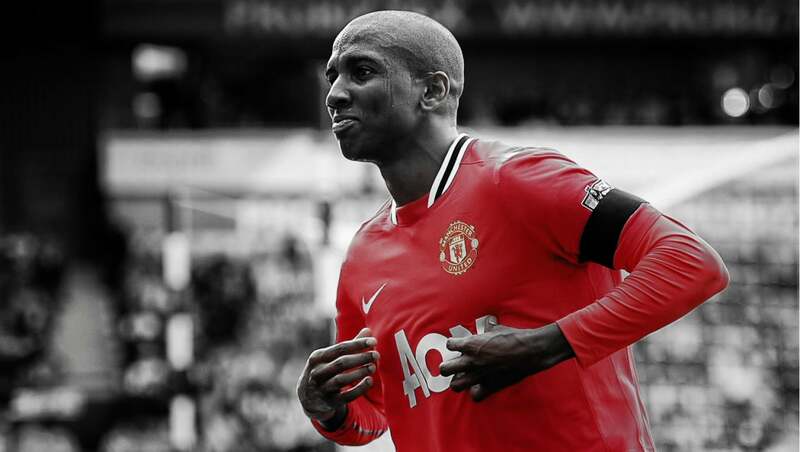 Young is just one example – ‘this is the year Anderson will show his class’ we are told every year. Are FAbio and Buttner good enough? Fletcher unfortunately won’t come back from his illness. I even wonder if we have overpaid again for an average player in Fellaini. And rewarding Nani with a 5-yr contract? For what? United need to start being a bit more cutthroat and sign class players while looking to being through top youth players like Januzaj. i) Yes, but it’s much easier saying you want to get rid of players than actually doing it – they are on huge salaries here that other clubs can’t afford. It’s not just us, look at Adebayor, Santa Cruz, Torres and so on. ii) Buttner is not good enough. Fabio might be but he may have missed the boat by now. Rafa was aided by Neville’s retirement whereas Fabio has had to contend with the indefatigable Evra. iii) Yes, of course we’ve over-paid for him. Could have had Strootman for £10m less for a start. iv) Nani has a lot of talent, certainly in the top 5 at United, I think. Five years is a long time but is guarantees a reasonable transfer fee if Moyes decides against him in the future. Should add that, in theory, getting rid of players should be easier in January than would normally be the case simply because of the looming World Cup, of course. But Ferguson had he remained in charge would have jettisoned Rooney and installed Kagawa as his new playmaker at number 10. Moyes has no appreciation for Shinji Kagawa. I fear the worst. . . The purchase of Young was one of Fergie’s more recent senior moments.. along with the treatment of Pogba & decision to ditch Morrison imo. Young = “versatility” -aka not good enough to hold down any one position – over talent. So yes, losing Young, along with Valencia and Anderson, would allow others a chance to shine (Zaha, Lingard, Powell etc). On a side note it’s a real shame watching the impact Morrison’s been having of late and thinking what might have been. He seems to have completely focused on the football. Like Januzaj, a breath of fresh air. I realize that he was apparently unmanageable in Manchester, but couldn’t we have sent him out on loan for a year or two before making a decision?? If you actually followed United, you’d know United had to get Morrison out of Manchester. For his own good. And now we are seeing the player he could be, otherwise he’d probably end up a crack dealer. Jesus, what a write up. You should consider writing a piece on OJ Simpson being innocent! Jay Shon contrary to popular sentiment on here I think you make some decent points about Ashley Young. I think he could have done a decent job on the right. But with Wilfred Zaha and Nani also vying for a place on the right we have no need of him. He has been surpassed by the wonderkid Januzaj and so therefore should have no more hope of playing on the left. Maybe if we were more desperate. But we have more than enough better players to do any job he could. Plus I really hate his pansy diving antics. The best thing for him is to be sold because his time is up.